I have designed this worksheet for my starter students. Have your students write the words. 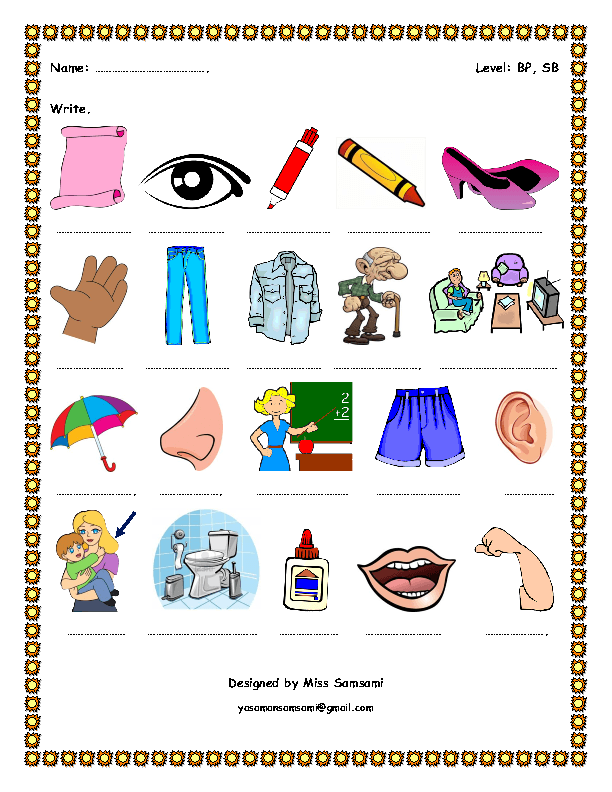 It is good for reviewing these topics: classroom, family, clothes and body parts. It's suitable for a spelling test as well. Hope it helps!